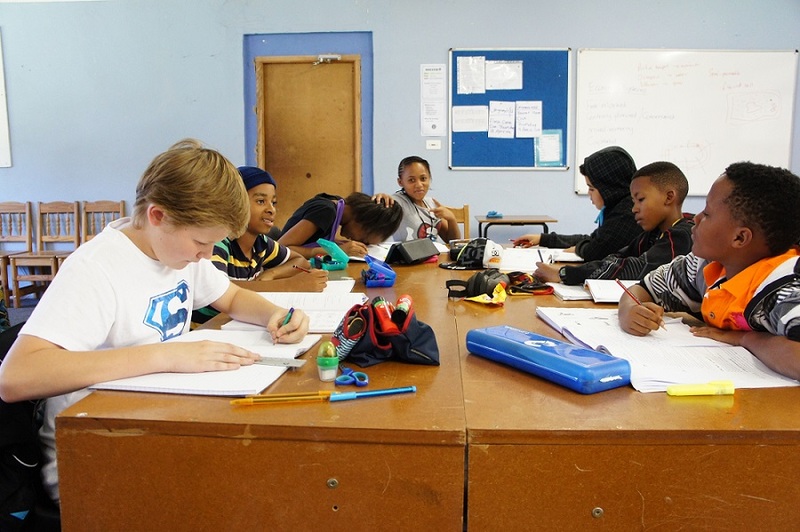 The Montessori Academy and College has one of only a few Montessori Middle school programs in South Africa. The Montessori program for children aged 12 to 15 years is based on the recognition of the special characteristics of adolescence. Adolescence is an age of great social development, an age of critical thinking and re-evaluation, and a period of self-concern and self-assessment. It is a transition from childhood to adulthood with the corresponding physical, mental and sexual maturation. In early puberty the adolescent finds it hard to concentrate on academic and structured learning. Above all adolescence is like an odyssey – an arduous yet exciting adventure – where the adolescent tries to find his or her place in the world. The Montessori Middle School allows children the opportunity to embark on this adventure through “occupations”(hands on work), such as permaculture projects, entrepreneurs days and a variety of other hands on learning experiences. The location of the college allows children to learn in a natural environment perfectly suited to the needs of the adolescent child. Lessons are given in a open classroom that allows for movement and co-operative learning. The curriculum focus at this time starts to steer the children towards the needs of the Cambridge curriculum. with more structured lesson being taught, without losing the Montessori feel to the lesson.